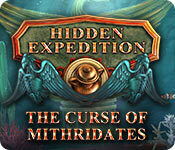 Hidden Expedition: The Curse of Mithridates is rated 4.4 out of 5 by 11. Rated 5 out of 5 by Bumbles2 from Super game after a few levels !!! I found this game to be a very slow start..but after that I was glued to my chair !!! 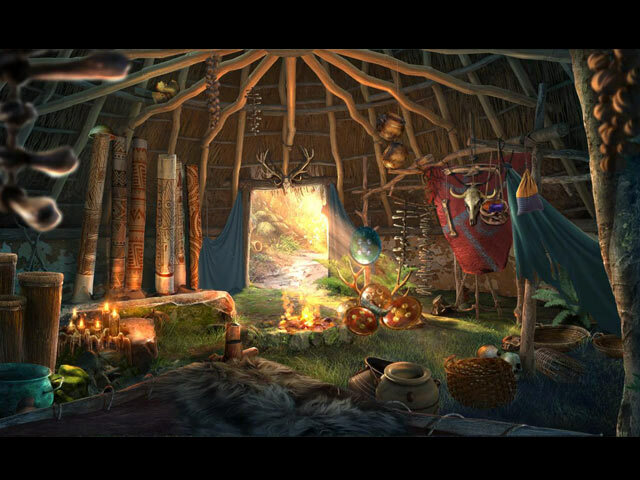 In the story you are sent to various locations to procure an antidote to cure the poison that is killing your companions...its quite an exciting story as each area you visit you are requested to find something for the various chiefs...I've made it sound kind of simple...but in a lot of cases it's not !!! Music was ok...but the artwork took some experts to create...all I can say in that regard is...very well done !!! There definitely is some challenges throughout the game but can be accomplished with a little bit of brain power !!! Try the demo...its a fun game...Enjoy !!! Rated 5 out of 5 by CourageAngel from It's a Race for the Cure! Save the Poisoned Agents! It starts out that, while showing Sam is unavailable for this (for some reason), that two agents were sent to check on the ruins of a palace belonging to King Mithridates. This king was one who had poison made so he could ingest it and gain an immunity to it. There's also a part relating to his "fate" later on that said he tried ingesting more poison later on to end his life, only he was immune, so he had a guard "do the job"... yeah, I could have done without that info... Back into the game, we team up with a H.E.L.P. technician on her first time in the field. We find the missing agents, only to have the new girl save us and end up poisoned. From there it's a race to gather the ingredients (3 of 65) for the antidote. There had been a mention, prior to that, of the poison being added to the water supply and posing a lethal issue to the area, but it wasn't addressed again after we learned that we had to save the agents and the time frame was 2 days shorter than the original estimation. Hopefully they did something about it in the bonus chapter of the CE. As a game, this one is very well made. It had stunning visuals and sound. I enjoyed learning more about facts related to the mission, as always, and the different locations were lovely. There was a part where I was like, "Agent, you're exhausted! Didn't you sleep on the ride over? Pull over before you crash!" but she kept going. Super Agent, right there... The ending of this is just the curing of the agents, and a "I knew you could do it!" As stated above, hopefully the CE bonus chapter covered what happens after that. As for now, I have to admit that I enjoyed this game. It's another winner for this series! If your curious, give it a try. It's definitely worth the purchase. Rated 5 out of 5 by Yanie1020 from Deserves 5 Stars Had a good time with this. A couple of the mini games were really fun and different. They taxed my brain but I was able to solve them. Graphics were great. HOP's were good. I liked this one. Rated 5 out of 5 by Majestyx12 from Loved the Adventure I had some free SV coupons from buying CEs so I picked this up. I wanted to find out what happen after the trial when the gas got my co-worker. I was so surprised how much I liked this game. Loved traveling, the info, the 20 fact cards, the characters, the adventure and the storyline. Enjoyed the 14 hops. Liked the puzzle where you had to swing a item along the puzzle. The puzzles got harder for me as I got closer to the end. Didn't like some explaining a, b, c, either. I always wanted to access CE perks when I was playing. Wanted to know what chapter I'm on. How many chapters there are. Look at the guide to see what they wanted me to do with the puzzles. Collect things. I did alright with out them but still wanted them. I would have tried more puzzles with the guide but I skipped a lot of them. I figured it's free so see if you like it, you won't be out anything. I could always buy the CE later if I liked it. I went to the CE reviews to see if someone had the info I wanted to know like the replay numbers and if they liked the bonus and was happy to find out. Still the SV isn't as bad as I thought. Great Game. Rated 5 out of 5 by patricia356 from Something of a sleeper in this series Like another reviewer I found when I started this game I thought it was ok but not sure if I would purchase. So glad I did. Once I started on the world travels I found it to be great fun and very informative. I have been to Malta and am in India now so I have not finished but I love it and would recommend it. Next time a start that immediately draws you in would be a good idea. Rated 5 out of 5 by biscuitsmama from A SLOW START ISN’T ALWAYS A BAD THING! 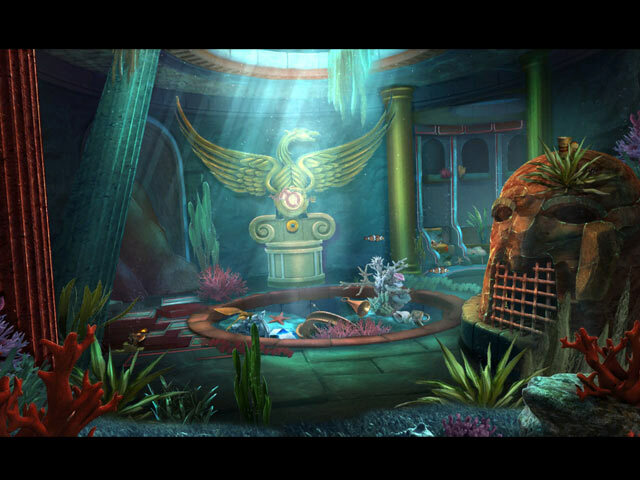 When I played the beta for this latest Hidden Expedition the Curse of Mithridates, I honestly fell asleep. Well I tried again a few days ago and the same thing happened so I was either too tired or the game was just downright boring. Hating to give up and with a good sale today I ended up purchasing the game. When I started playing a strange thing happened – I ended up thinking this is far better than I thought it would be. By the time that I got out of Turkey and into Malta I was becoming convinced that the game was actually better than I thought it would be. As of the time I write this review, I have almost finished the full game and have to admit that my first impression was totally wrong and this is an excellent new Hidden Expedition game and, in fact, it is much better that the last few offerings in the series. I am not going to bother writing about the storyline or all of the other basics as others have covered that by now in their reviews but let me just say that a game that started out as an archaeologic find has me now globetrotting to save my fellow H.E.L.P. members. It is a fun adventure with lots of great HOPS thrown in for good measure. My only complaint is that some of the puzzles were downright confusing mainly because the instructions left a lot to be desired. Fortunately, purchasing the full game I had my trusty strategy guide on hand and that did offer a bit of help in solving or at least figuring out what I was supposed to do to solve some puzzles. Many of the puzzles were straight forward and easy while others were scratching my head difficult. All in all, there is something for everyone in the game. One of the reasons that I think so many gamers might be down on this game is because it really does get off to a slow start. I have recommended that the developer try to put a bit more forward movement into the beginning of their games and that might generate a bit more enthusiasm on the part of their audience. When a game moves so slowly and is bogged down by so many little items in the beginning the gamer wants to say enough already and gives up, or goes to take a nap – anything to get away from the snail pace action. The only thing I can recommend is that you stick with that very slow beginning and then enjoy the excitement as the game truly gets going. Since I am almost at the end of the game I am now looking forward to playing the bonus chapter that promises to be just as good as the full game. As always, even though I love this game I recommend that you give the demo a try (please stick it out to the end of the demo) to see if this is a game you will enjoy as much as I do. Happy gaming! Rated 5 out of 5 by 2020moonlanding from I Love A Good Adventure I'm a huge fan of the Hidden Expedition series, so I was quite keen when this came out. In keeping with past episodes you are tasked in flying around the world to find clues and artifacts to save your colleagues, history, and the world itself. Am I exaggerating a bit, why yes, but this is the closest series where I feel like I'm Indiana Jones where I alone can save the world! This game, like all of Eipix games, has all the bells and whistles you would expect as well as the quality that this dev is known for. This is a series you don't want to miss. Rated 4 out of 5 by PATinPNS from Another Hit in the Hidden Expedition Series This is posted after playing the entire game. I really enjoy this series and this game was no exception. There was so much going on in the game I only planned to play for a while and then mow the yard. Well, the yard can wait until tomorrow. Really liked it. As usual the sound was great. Really liked the voice overs. Graphics were excellent. One scene actually looked 3D. I was shocked to see it. Music and effects went along with the story and the scene. I maked down the challenge a bit and probably shouldn't have. 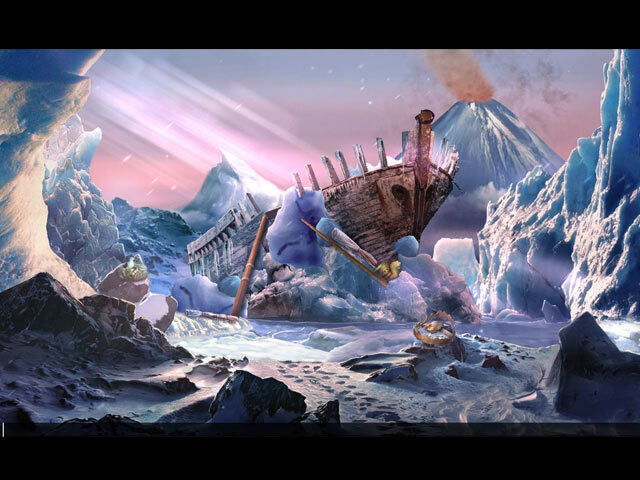 I loved what they did with the hidden object scenes. So varied and interesting. It amazes me how they can keep coming up with ways to hide something, but they do. The mark down was because of the mini games. Not my favorite anyway, but when I don't understand the instructions and simply wait the few seconds so I can skip it is not good. I did several of them, but the ones I couldn't do was because the instructions, even with the A,B,Cs outlining everything, I couldn't do them. Even after the game showed me how it was done, I sat here and wondered how did they do that. Way beyond my patience and abilities. The map was a necessity for me. There is a lot of running back and forth and the map shows where there is something to do and transports. There were a couple times the map didn't show anything and I couldn't find anything in the scene and when I hit hint, it took me to an unmarked location. Not a problem, but something to be aware. I love the fact cards. They come up along the way and give information about the region or people you are dealing with at the time. IE, I didn't know that the Hawaiian Islands were known as the Sandwich Islands, not to be confused with the South Sandwich Islands. Trivia is the key to a long life, my friend. :-) The story was really good as usual. No ghosts, witches or other things that go bump in the night. Others will go into detail about the story, but just let me say the only disappointment I had was with the ending. It ... just ended. The continuity is there throughout the game. I didn't find any missteps whatsoever. This one is a tad bit different from the others in the series in the way it's presented, but that is a good thing. Give the demo a try and I think you'll enjoy it as much as I did. Rated 3 out of 5 by Monkfan from Heavy on the Mini Games I enjoyed the adventure aspect but I didn't like the mini games. The jumping around from one location to the next was a little tedious. I just didn't get into the story plot. Okay but not great game.